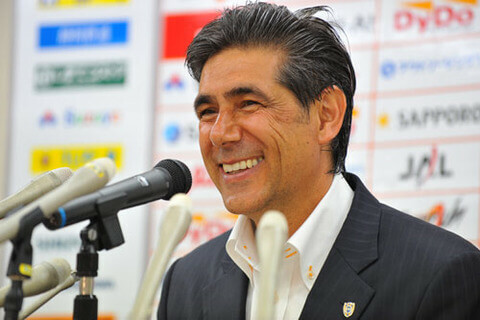 In my last piece, I wrote about my visit to Shimizu S-Pulse, in 2011, Afshin Ghotbi’s first season at the helm of the club. Last week, I had another rare privilege to visit with Afshin and learn from him, only this time, at the conclusion of his tenure at S-Pulse. It was a fascinating glimpse into the process Afshin takes his staff and players through, in order to prepare for a match. During my visit to S-Pulse, I got to see the finished product of a training session, but more recently, I got to see the nuts and bolts of the process of team preparation. During Ghotbi’s recent visit to southern California, he was gracious enough to visit the youth coaching staff at Eagles SC in Camarillo, an elite youth club, run by none other than former MLS Cup and Open Cup Champion, Steve Sampson. It was very refreshing to see that a top caliber, international manager like Afshin would make time to do a presentation for youth coaches, and spend time answering their questions, in a very intimate and open setting. It shows how genuine Afshin’s football and personality have remained through the years, never losing touch with his roots in the game, and never losing respect for those in the craft, regardless of their level or status. The audio-visual presentation was the quintessence of modern management methodology. With regards to content, it could have drawn top-billing at any international coaching symposium; but, as I mentioned in my previous piece, Afshin Ghotbi is not just knowledge and organization. He is an excellent communicator. He has a knack for packaging an idea or a goal into a series of visuals, which paint a clear picture of roles, responsibilities, and function. On the technical side, it was impressive to see how information and data from opposition scouting reports was married into tactical field diagrams, to give players and staff not only a visual of how an opponent functions, but an idea of when they actually hit peaks and valleys of performance within a 90 minute match. Equally impressive for its attention to detail was how, even the physical height of opposing players factored into diagrams of set pieces. Frankly, the only detail about opposing players that was not in the slides was their sign of the zodiac! When it came time to preparing the staff for training sessions, I was especially enthralled, since my job as a coaching educator is to improve the quality of training that coaches are able to produce. I’m a big fan of diagrams, but Ghotbi added a whole new dimension to the art. Each activity of the practice session was laid out with painstaking details, with regards to spacing, timing, duration, and players involved. Nothing was left to chance or random act. During my actual on-field observations, I noted how impressive the intensity, sharpness, and flow of the sessions were; now I understood why. The economy and high productivity of the training was a direct result of the meticulous staging, planning, and delegation that the manager prepared for his staff. Not one to spare a detail, he even required players to check in with the staff more than an hour before training to make sure that proper adjustments could be made to ensure that the right combination of players was able to be maintained to maximize awareness and tactical effectiveness. Last but not least, in terms of the psycho-social side of the game, again, no detail was spared. Afshin showed he is also a fantastic motivator. Players were encouraged to view videos of positive performances in specially designed screening rooms, one of many technological innovations he brought to the club. Video clips and pre-match movies were interwoven with specific messages and goals for each and every match. One could sense that preparing for each successive match under Afshin was a new adventure, a new mission, as he likes to put it; and that ensures that the group can never go into a downward spiral of performance, even in the most adverse of times. It’s no coincidence that S-Pulse was able to stay in the top half of the tables and reach a cup final, with so small a budget, and with so many young and inexperienced players. 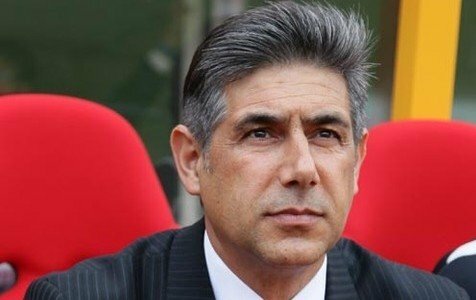 As I said before, this is a testament to Afshin Ghotbi’s ability to ‘man manage.’ No matter if there were seasoned international veterans or newly promoted youth academy players in the side, each not only knew his purpose, but ‘believed in’ it and went out and lived it on the pitch and bled for his teammates. In a day and age in which so much is made of ‘the acquisition of talent,’ and ‘big summer signings,’ Afshin is both a throwback to a bygone era and, at the same time, a glimpse of the future of the game. He has the core principles and tireless work ethic which built the modern game, yet at the same time he has the global outlook and tech savoir faire that is now at the cutting edge of coaching. In every sense, Ghotbi is ‘modern football’ at its best. In my view, he would be the perfect choice to manage a progressive –minded MLS club or a top domestic European club, looking to break barriers and reach a new peak of performance and results. His innovations have been widely imitated already in Asia, but would have an even greater ripple effect here in the U.S. where our top league is in desperate need of a new standard of management in order to better serve and develop our players. 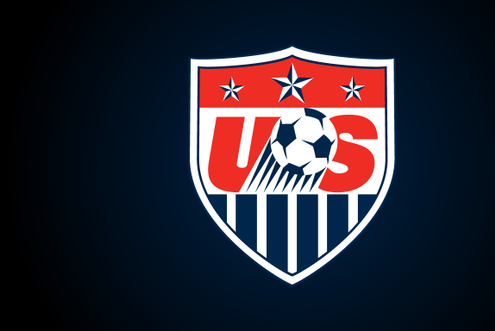 With a manager like Afshin Ghotbi in the MLS, Jurgen Klinsmann could rest a bit easier that his top picks would be in good hands on a daily basis here at home. Brazil players take part in a training session at the Zayed Sports City in Abu Dhabi yesterday, ahead of their friendly against Iran. Robinho (second from left) said the players were looking to impress new coach Mano Menezes. Abu Dhabi: Robinho, Dani Alves, Thiago Silva and Alex Pato are just a few of the big names set to step on the hallowed turf of Zayed Sports City in Abu Dhabi tonight at 9pm, when five times world champions Brazil take on Asian Cup hopefuls Iran in a much-anticipated friendly match. Brazil will play in the famous yellow and blue, while Iran stick to their traditional all white kit in this important albeit academic battle of wits. It’s only Brazilian coach Mano Menezes’ third game in charge since replacing Dunga, following a torrid World Cup campaign. Brazil were one of the oldest squads in South Africa, but the experienced youth coach has already rung the changes with five new players in the squad including Elias, Wesley, Neto, Guliano and Mariano. “All games are important, even friendly matches,” Robinho said yesterday. “We are ready to be the best and give a good impression of ourselves to the new coach. “For the Brazil team every game is important.” Meanwhile Iran coach Afshin Ghotbi, looks to this game to fire out salvoes ahead of the Asian Cup in Doha, Qatar, from January 7-29. Ghotbi was thrown in at the deep end late last year, with three World Cup qualifiers left to get Team Melli to South Africa after Ali Daei’s dismissal. Although he didn’t pull off that task he is expected to lead Iran to Asian dominance. Having lost just one from thirteen games in 2010, things seem on target, but Brazil could disrupt that. “Brazil are so good they expose all your weaknesses. But I’m 100 per cent my players will play better given the high motivation and pride at stake,” Ghotbi told Gulf News. “This is an opportunity for us to play at the highest level and will be a good yardstick by which to measure our progress. We’ll take this chance to showcase ourselves and demonstrate that we’re not so far from the world’s top footballing sides,” Ghotbi added. Ghotbi also suggested that his players finding out about the Brazil friendly, while still in action at the final of the West Asian Football Championships in Jordan last week, probably disrupted their form in that competition, where they lost in the final to Kuwait 2-1. The Brazil game also hands an opportunity to Iran to bid farewell to stalwart Karim Bagheri who goes into international retirement following this exhibition match. Bagheri, a 36-year-old midfielder, will make his 87th appearance for Iran tonight. Overshadowed by the Japan Football Association’s declaration 10 years ago that it wanted to win the World Cup by 2050 was another pledge that seemed more easily achievable: having the team ranked in the top 10 by 2015. There is still plenty of time for the World Cup, but time is running out to meet that top-10 goal. Currently, Japan is ranked 53rd in the world by FIFA. That ranking may be an unfair reflection on how strong the team actually is as it prepares for a friendly on Friday against Tunisia in Oita, Japan. But over the last few months, Japanese soccer has hit turbulence after a decade of relatively smooth and impressive growth. Five years after establishing the professional J. League, the national team made its World Cup debut in 1998. Co-hosting the tournament with South Korea and reaching the second round in 2002 was another milestone. Japan arrived in Germany for the 2006 World Cup carrying high hopes as the Asian champion, but it never recovered after a dramatic 3-1 loss to Australia in the opening game. The tournament was, however, viewed as a valuable lesson on how mistakes get punished at the top level of international soccer. Under the Japanese coach Takeshi Okada, the 2010 team made it to the knockout round as it recorded its first World Cup victories on foreign soil. It narrowly missed reaching the final eight in South Africa after losing a penalty shootout against Paraguay. The experienced Italian coach Alberto Zaccheroni took over in September 2010. After leading the team to the 2011 Asian Cup and strolling through qualification for the 2014 World Cup, there was talk of a quarterfinal finish in Brazil. Instead, the team flopped at the World Cup last year and collected just one point. After high expectations, it was a huge disappointment. In August, Japan appointed Javier Aguirre, the tough-talking two-time coach of Mexico, to succeed Zaccheroni. Aguirre talked of introducing “street smarts” to the technically polished Japanese team as it prepared for the 2018 World Cup. The 2015 Asian Cup was the first major test, but it ended with another disappointment as Japan exited at the quarterfinal stage at the hands of the United Arab Emirates. It was the team’s worst performance in the tournament since 1996. In February, Japan fired Aguirre after he was implicated in a match-fixing scandal over his tenure as coach of the Spanish club Real Zaragoza in 2011. Vahid Halilhodzic of Bosnia was appointed coach in February, the third foreign boss in the span of nine months. With the national team in an unusual state of flux, soccer fans in Japan have not found much comfort with the J-League, either. Its clubs are struggling in the Asian Champions League, the continent’s premier club competition. After three rounds of the tournament’s group stage, three of the country’s four representatives have yet to win a game. The recent rise of wealthy Chinese clubs buying top-class foreign talent that Japanese teams can’t afford is posing a huge challenge. Still, there is good news coming out of Japan. The country’s youth development system is still the envy of Asia, with 12 out of the 23 players on last year’s World Cup roster playing in the bigger European leagues, including some at elite clubs, like Shinji Kagawa, Keisuke Honda and Yuto Nagatomo. There are gaps, however. “Not all positions are the same,” Maya Yoshida, a defender with Southampton in the Premier League, told the English newspaper The Independent earlier this month. “The most difficult for Japanese people are striker, center-back and goalkeeper. These are issues that other nations in Asia would love to have, but according to Ghotbi — as well as the federations’s declaration in 2005 — Japan wants to use the world, and not just Asia, as its yardstick for measuring success. Halilhodzic has much work to do as the new coach, but he has a good chance to get off to a strong start against Tunisia on Friday and against Uzbekistan in another friendly four days later. J.F.A bosses hope the Bosnian can replicate the success he had with Algeria in 2014, when he took an aggressive, fast and skilful team to the second round of the World Cup, including an impressive performance against the eventual winner, Germany. “I was able to get Algeria to No.17 in the rankings, and I want to do the same for Japan,” Halilhodzic said in his first Tokyo press conference. That may not be top 10, but it would certainly do for now.